Stocks are closing with sharp losses amid new signs the global economy is slowing. The International Monetary Fund on Tuesday cut its 2019 growth forecast, pointing to heightened trade tensions and rising interest rates. Technology and energy companies skidded. So did industrial companies, hurt by the slower growth forecast as well as some weak fourth-quarter earnings. Investors’ fears about the U.S.-China trade dispute also affected stocks. The Financial Times reported that the U.S. canceled a round of preparatory trade talks scheduled for this week. The S&P 500 fell 37 points, or 1.4 percent, to 2,632. 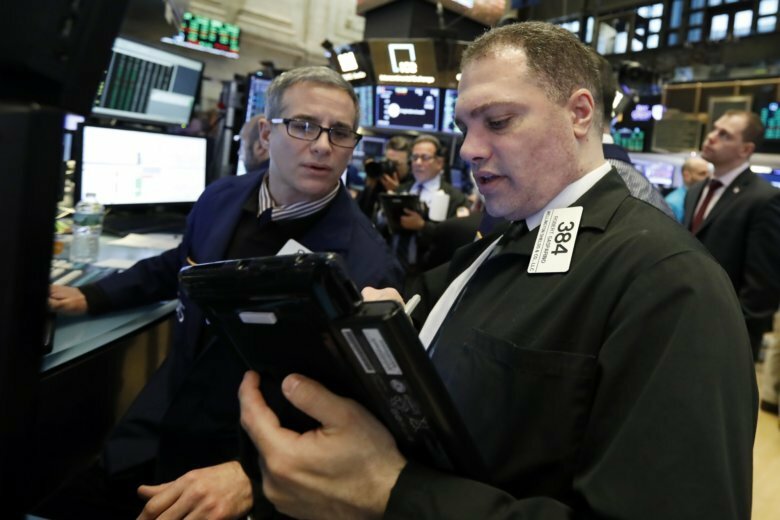 The Dow Jones Industrial Average lost 301 points, or 1.2 percent, to 24,404. The Nasdaq composite slid 136 points, or 1.9 percent, to 7,020. Stocks are extending losses on Wall Street amid new signs the global economy is slowing. Technology companies skidded, and so did industrial companies, hurt by the slower growth forecast as well as some weak fourth-quarter earnings. Chipmaker Micron Technology fell 4.8 percent and construction equipment company Caterpillar lost 2.8 percent. eBay jumped 7.5 percent after activist shareholder Elliott Management disclosed a 4 percent stake in the company. The S&P 500 fell 31 points, or 1.2 percent, at 2,638. The Dow Jones Industrial Average lost 263 points, or 1.1 percent, at 24,444. The Nasdaq composite slid 100 points, or 1.4 percent, at 7,057. Stocks are slipping on Wall Street amid new signs the global economy is slowing. China said its economy is growing at the slowest pace in nearly three decades. Technology and industrial stocks declined. Micron Technology fell 2.9 percent and Caterpillar lost 2.6 percent. eBay jumped 11 percent after activist shareholder Elliott Management disclosed a 4 percent stake in the company. The S&P 500 fell 16 points, or 0.6 percent, at 2,654. The Dow Jones Industrial Average lost 159 points, or 0.7 percent, at 24,539. The Nasdaq composite slid 50 points, or 0.7 percent, at 7,104.